Music is part of Parkside’s heart and soul. Sometimes called “the universal language,” music adds a sensory dimension to life like nothing else. Children have an innate capacity to appreciate music of all types, and an uninhibited inclination to move, dance, and make music. Parkside founder Joe Bruno has been writing songs for, and singing with, children for more than 40 years. He understands the power of music and truly believes it is the one beautiful language that connects people all over the world. That’s why music is integrated into the Primary, Lower Elementary, and Upper Elementary programs at Parkside. Every day in every classroom, children sing together with their teachers. On Fridays, the entire community gathers for our beloved Simple Gifts celebrations, where children, parents, and friends join us for singing, dancing, and playing instruments. The love we have for music – and each other – is very evident, and everyone benefits from this sacred communal time. Guitar lessons have long been a staple of the Elementary curriculum, and in the fall of 2017, we created a new program through a partnership with JP Ahmad and Franklin Music Academy. All 3rd- through 6th-year children receive small group guitar lessons with JP, where they learn to play AND sing some of our favorite classic rock, R&B, and Parkside songs – and have fun doing it! 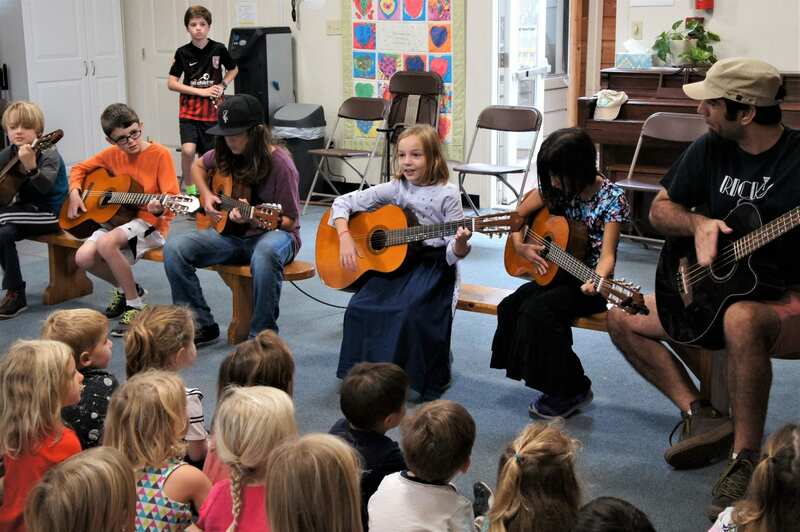 By infusing our culture with this fresh take on learning and loving music, we are inspiring in the children a lifelong passion for playing guitar, singing, and making beautiful music with their community.